Homeopathic drugs Natrum sulphuricum and Carcinosin prevent azo dye-induced hepatocarcinogenesis in mice. Nandini Bhattacharjee, Pathikrit Banerjee and Anisur Rahman Khuda-Bukhshh. Indian Journal of Biochemistry & Biophysics’, Vol-46, August 2009, PP. 307-318. The study was undertaken to examine whether Carcinosin-200 (Car-200) could provide additional ameliorative effect, if used intermittently with Natrum sulphuricum-30 (Nat sulph-30) against hepatocarcinogenesis induced by chronic feeding of p-dimethylaminoazobenzene (p-DAB) and phenobarbital (PB) in mice (Mus musculus). (vii) p-DAB + PB + Nat sulph-30+Car-200. They were sacrificed at 30, 60, 90 and 120 days for assessment of genotoxicity through cytogenetical end-points like chromosome aberrations, micronuclei, mitotic index and sperm head anomaly and cytotoxicity through assay of widely accepted biomarkers and pathophysiological parameters. Additionally, electron microscopic studies and gelatin zymography for matrix metalloproteinases (MMPs) were conducted in liver at 90 and 120 days. Results showed that administration of Nat sulph-30 alone and in combination with Car-200 reduced the liver tumors with positive ultra- structural changes and in MMPs expression, genotoxic parameters, lipid peroxidation, y-glutamyl transferase, lactate dehydrogenase, blood glucose, bilirubin, creatinine, urea and increased GSH, glucose-6-phosphate dehydrogenase, superoxide dismutase, catalase, glutathione reductase activities and hemoglobin, cholesterol, and albumin levels. Thus intermittent use of Car-200 along with Nat sulph-30 yielded additional benefit against genotoxicity, cytotoxicity hepatotoxicity and oxidative stress induced by the carcinogens during hepatocarcinogenesis. 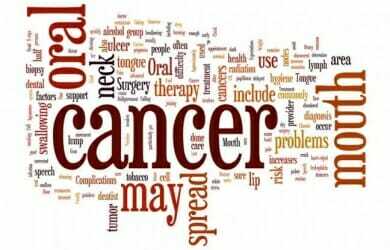 Homeopathy is considered as one modality for cancer therapy. However, there are only very few clinical reports on the activity of the drugs, as well as in experimental animals. Presently we have evaluated the inhibitory effects of potentized homeopathic preparations against N’- nitrosodiethylamine (NDEA) induced hepatocellular carcinoma in rats as well as 3- methylcholanthrene-induced sarcomas in mice. We have used Ruta, Hydrastis, Lycopodium and Thuja, which are commonly employed in homeopathy for treating cancer. Administration of NDEA in rats resulted in tumor induction in the liver and elevated marker enzymes such as gamma-glutamyl transpeptidase, glutamate pyruvate transaminase, glutamate oxaloacetate transaminase and alkaline phosphatase in the serum and in liver. Concomitant administration of homeopathic drugs retarded the tumor growth and significantly reduced the elevated marker enzymes level as revealed by morphological, biochemical and histopathological evaluation. Out of the four drugs studied, Ruta 200c showed maximum inhibition of liver tumor development. Ruta 200c and phosphorus 1M were found to reduce the incidence of 3-methylcholanthreneinduced sarcomas and also increase the life span of mice harboring the tumours. These studies demonstrate that homeopathic drugs, at ultra low doses, may be able to decrease tumor induction by carcinogen administration. At present we do not know the mechanisms of action of these drugs useful against carcinogenesis. ‘The article was originally published in the journal Asian Pacific Journal & Cancer Prevention.’ Vol. 8.2007.